April 12, 2013 April 13, 2013 / Susan O.
Congratulations to all of Hugo Award nominees for 2013! 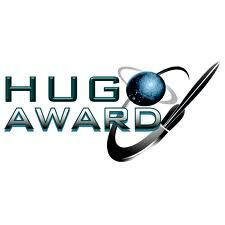 The Hugo award is given to the year’s best science fiction, including print, film, podcasts, art, and fans. The Hugos are awarded at the annual World Science Fiction Convention, which will be held this year at LoneStarCon 3 in San Antonio, Texas, August 29-September 2, 2013. This year’s toastmaster will be British author Paul Cornell. Two of the top nominees are on my to be read list.